Titles by Steven Recht « And Another Thing . . .
Four teenage boys, coming of age and dreaming of their future, even as that future seemed to be slipping through their young fingers. It wasn’t their fault they were born into a town, into a way of life, that was dying. They did what they were supposed to do: followed the rules, studied hard, played hard. But for them, unlike their fathers and grandfathers, there was no promise of a fat salary at the mill, no promise of a house and a yard and a middle class life. Not in Hopeton Mills, Pennsylvania, anyway. Not when the fabric of so much of America was fraying in the late 1970’s and 80’s. They had but one option, just like kids in factory towns and farm towns coast to coast—getting the hell out. 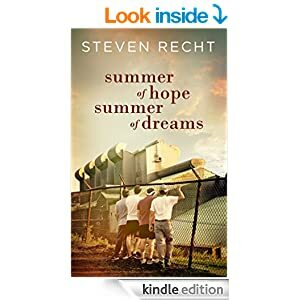 As their hero from an equally bleak Jersey shore town put it in the title to his iconic anthem, these four sons of Hopeton Mills were born to run.Summer of Hope, Summer of Dreams is a story of the follies and dreams of youth, of enduring loyalty and friendship, of the hope and faith of adulthood, and of the bonds forged from songs that inspired a generation. The Outer Banks. Wide, solitary beaches. Windswept sand. Breathtaking sunsets over the Sound. A perfect place for a couple to live out their days. 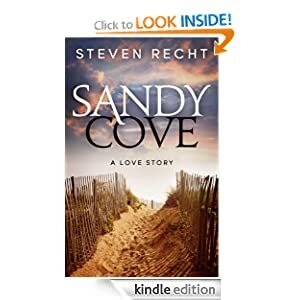 Except when for one of them, those days are numbered.When Tom Ralston’s wife dies unexpectedly, he finds himself feeling trapped in Sandy Cove, the idyllic Outer Banks village in which they had planned to spend the rest of their lives together. Unable to function and unable to move on, Tom runs away from everyone and everything in his life, traveling the world in search of solace. But he is searching in the wrong place. When Tom returns to Sandy Cove he realizes that it is time to let go of his past and move on with his life, and he begins working to reestablish his friendships and to repair the relationships he neglected during his sojourn.Sandy Cove is a story of what was and what will be, a story of the innocence of a childhood friendship and of the anguish of adult heartbreak. A story of love and of loss, of hope and of redemption, and of lifelong friendship rekindled.